If you cannot live without coffee, Surabaya has a large selection of places to cure your caffeine cravings! 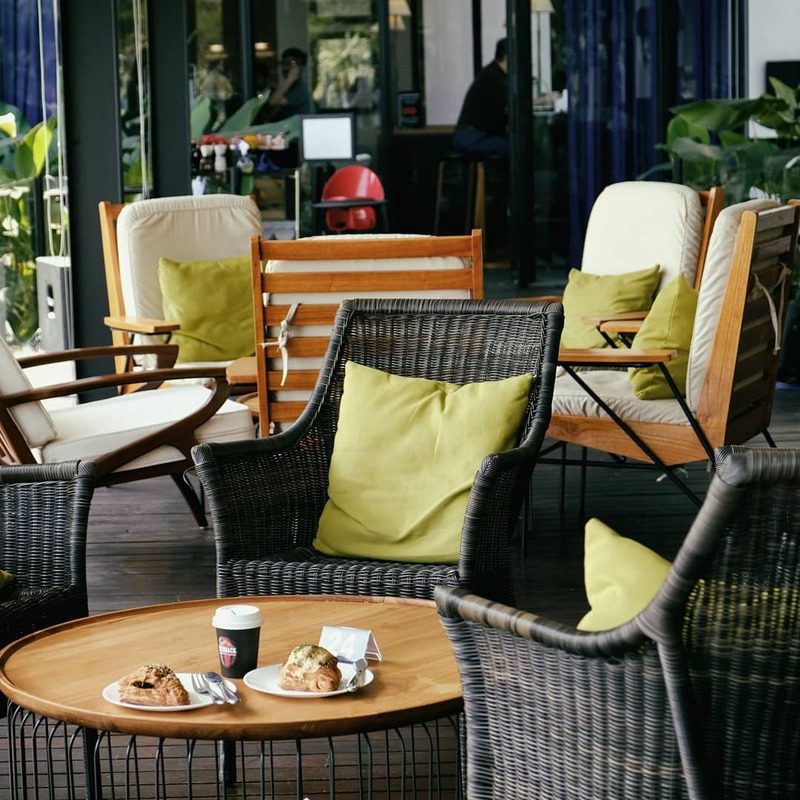 These 7 recommended Surabaya cafes not only serve quality coffee but are picturesque spaces to enjoy your caffeinated beverages – you definitely wouldn’t want to miss visit these cafes on your next trip to Surabaya. Flanked by two other cafes, this cafe is usually packed with people and it’s not difficult to see why! Its distinctive rustic interior lends a laidback vibe that is perfect for a relaxed afternoon sipping a cup of coffee. 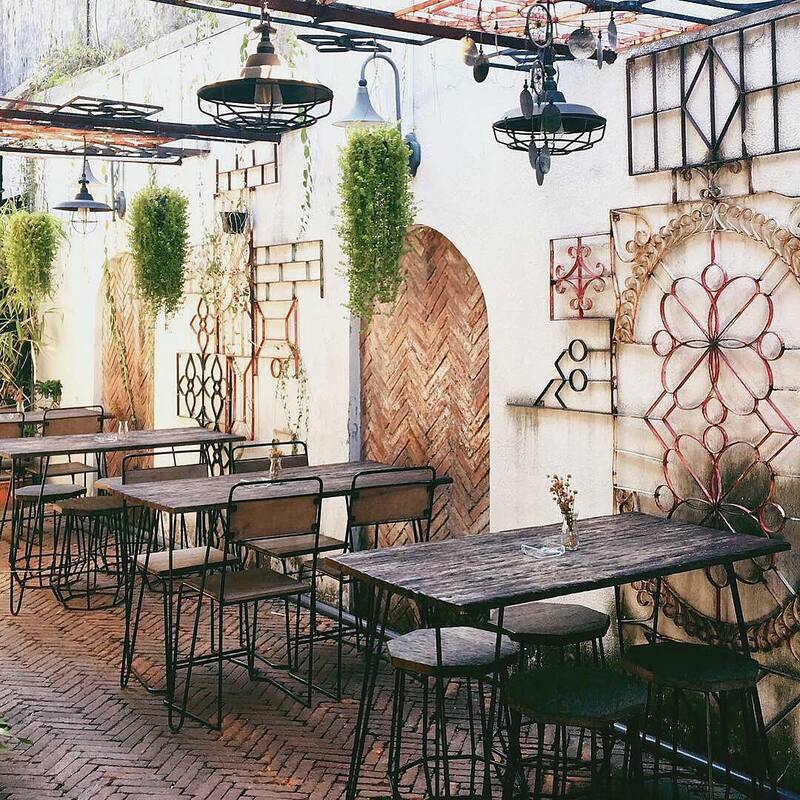 With visible Dutch influences, this space has been remodeled into a modern cafe with spacious indoor and outdoor seating. Blackbarn’s black-and-white minimalist concept is a hit with customers, along with their affordable coffee, excellent wifi speed and fantastic choice of music. 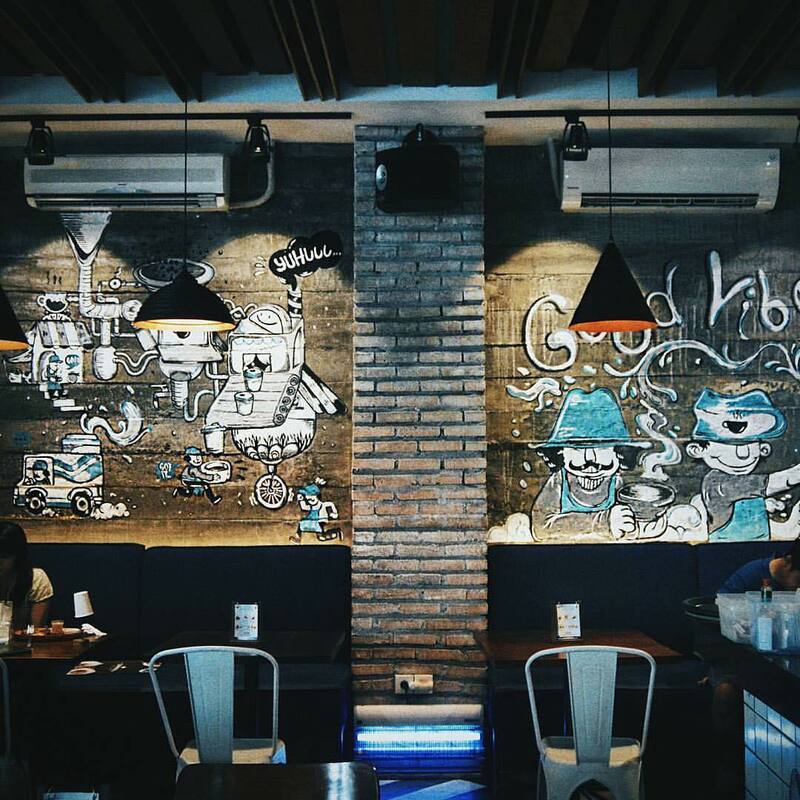 One of our top recommended Surabaya cafes! 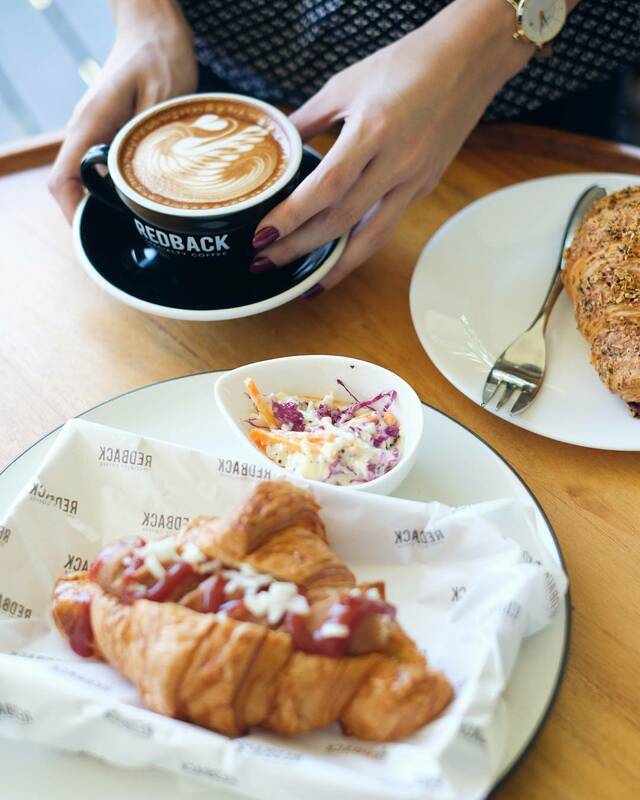 Redback’s second branch was launched amid much fanfare in early 2017 and it didn’t take long before it was a hit with locals who were already accustomed to the cafe’s tasty pastry and coffee menu. 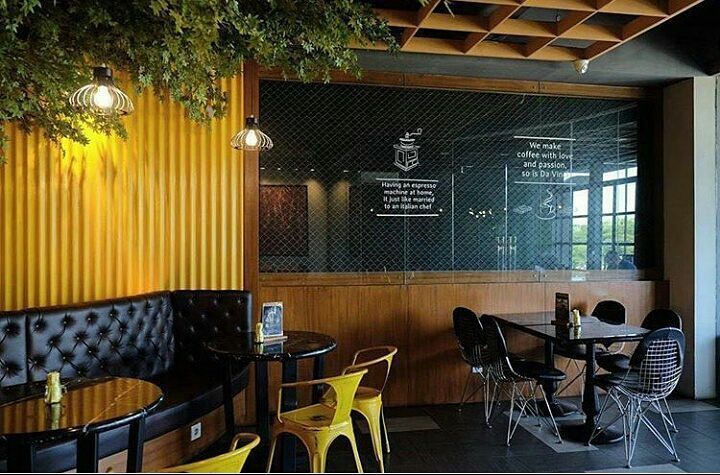 Located in a residential area in West Surabaya, this modern cafe with indoor and outdoor seating, overlooks a golf course! 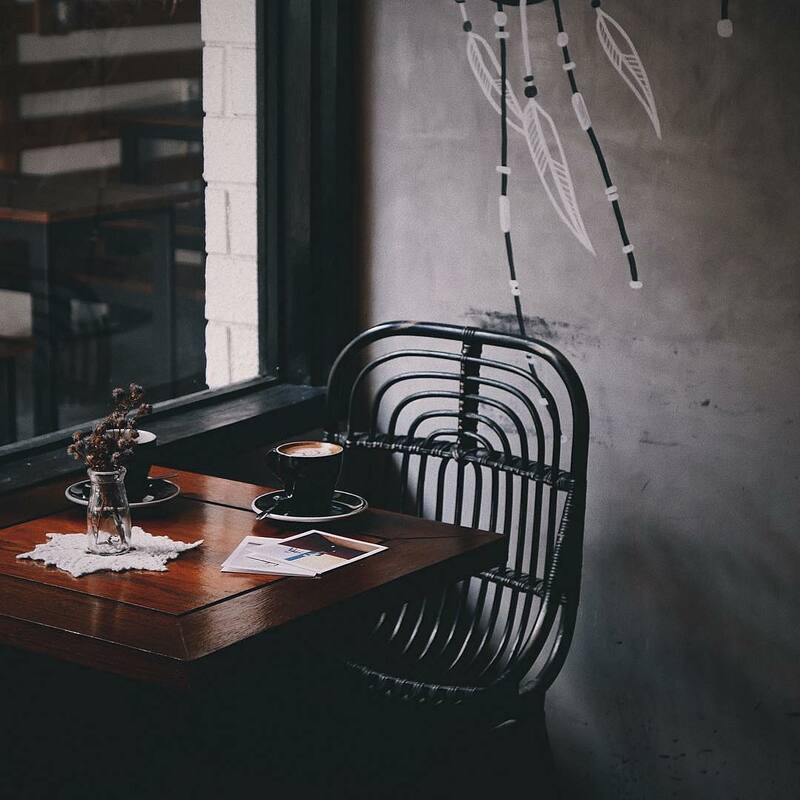 Armed with a beautiful view and a tasteful interior designed in black and blue, the cafe’s warm ambience is great for meetings, an afternoon out with friends, or catching up on some reading over coffee and croissant. Ask anyone you know in the city for a recommended Surabaya cafe and 8 out of 10 will recommend this one. One of the coolest coffee places in Surabaya, this cafe is owned by Tyo Tanaka, who is not only a coffee enthusiast but dog owner, having held a regular event called Coffee & Dog at Thirty Three Brew, bringing coffee- and dog-lovers together. Enter Thirty Three Brew and the fragrant aroma of coffee fills the cafe. 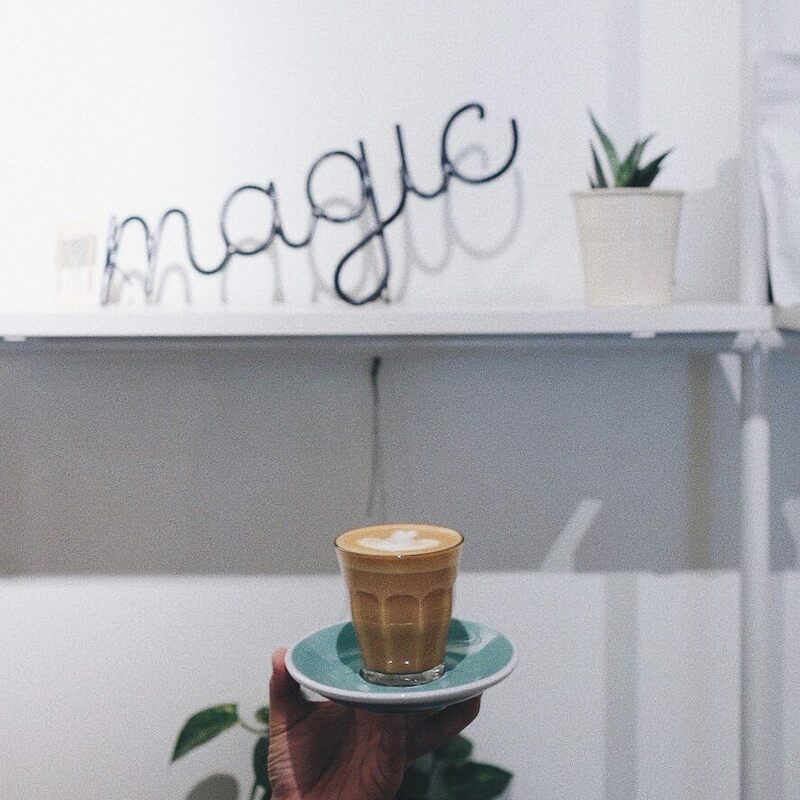 Choose from a selection of lattes, cappuccino, americano and espresso, and don’t forget to take a selfie at the many fashionable nooks around the space that are so Instagram-worthy! 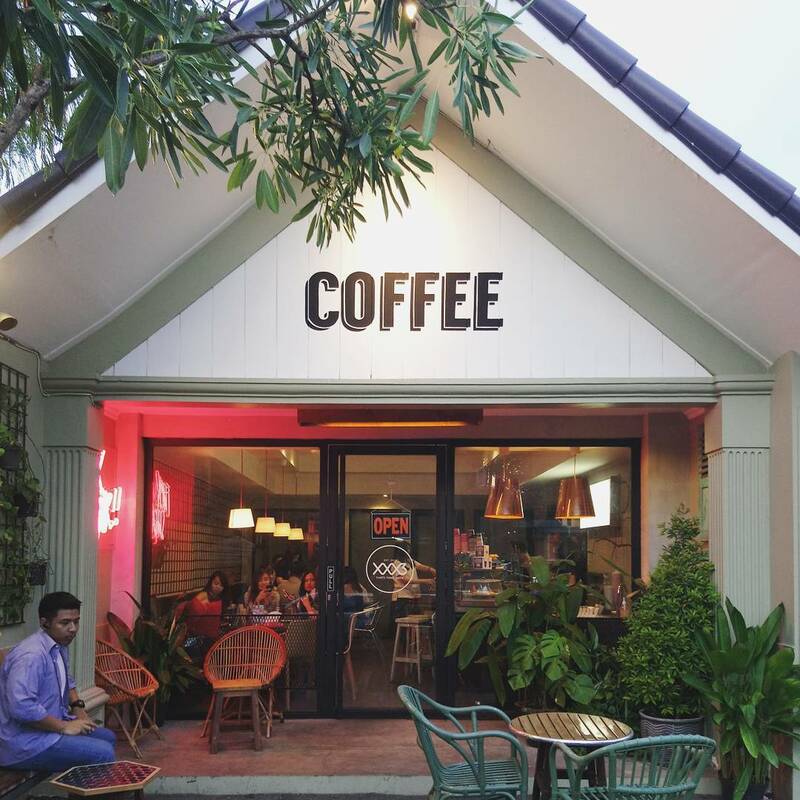 One of the top recommended surabaya cafes for its coffee variety and beautiful surrounding. 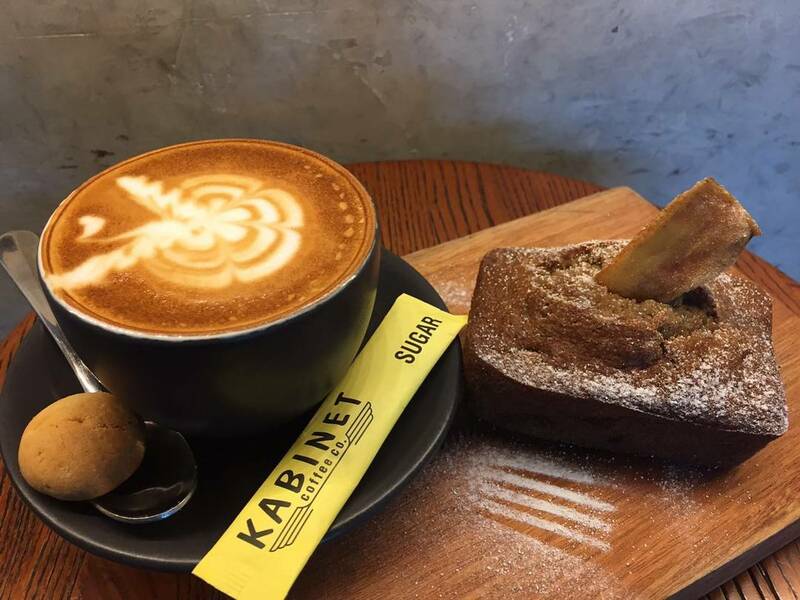 Kabinet Coffee Co. promises the best quality Indonesian coffee brewed to excellence with beans specially from Papua, East Indonesia. But what makes this cafe special is its community initiative to help farmers in Papua, and the industrial warehouse-styled design of its cafe that has two storeys of seating space. With 5 different brewing methods, the baristas here take pride in giving customers the best coffee experience. Order their delicious Organic Arabica Coffee Scrub with Shea Butter while you take in the smells of roasted coffee in this cosy cafe. 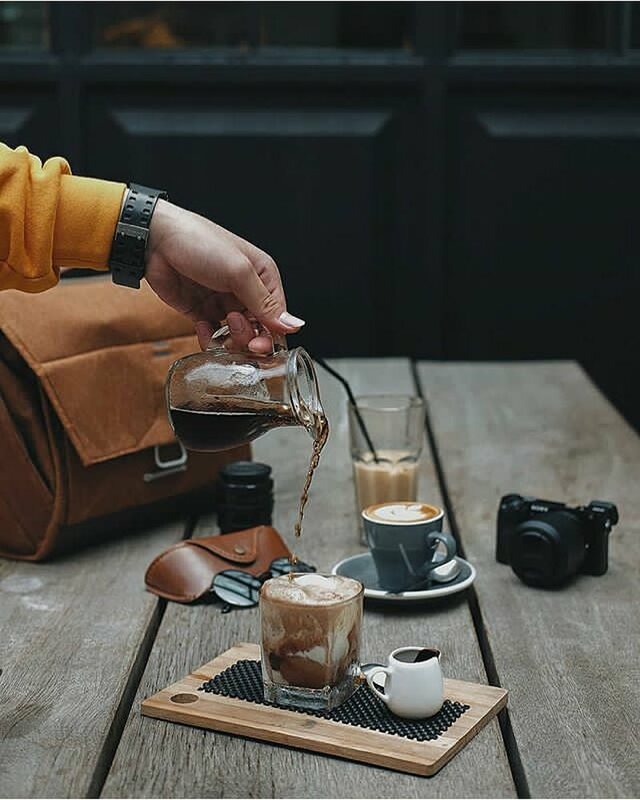 A specialty coffee shop, this cafe is famous for its wide variety of coffee beverages that is made using both automatic and manual brew methods. Along with their MSG-free food cooked with Western-infused authentic flavours, Caturra Espresso also runs workshops for you to learn how to make coffee! 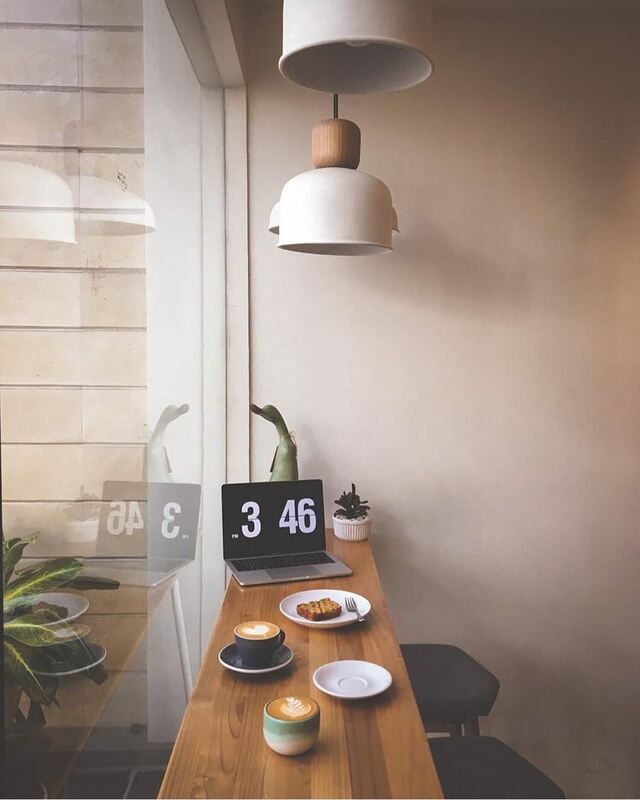 It won’t be long before you fall in love with Caturra Espresso’s simplistic black-and-white interior and large glass windows that provide lots of natural light for that perfect #foodstagram picture! Entering this cafe, you’ll be wowed by its attractive design and mural-covered walls that adds just a touch of fun and quirkiness. 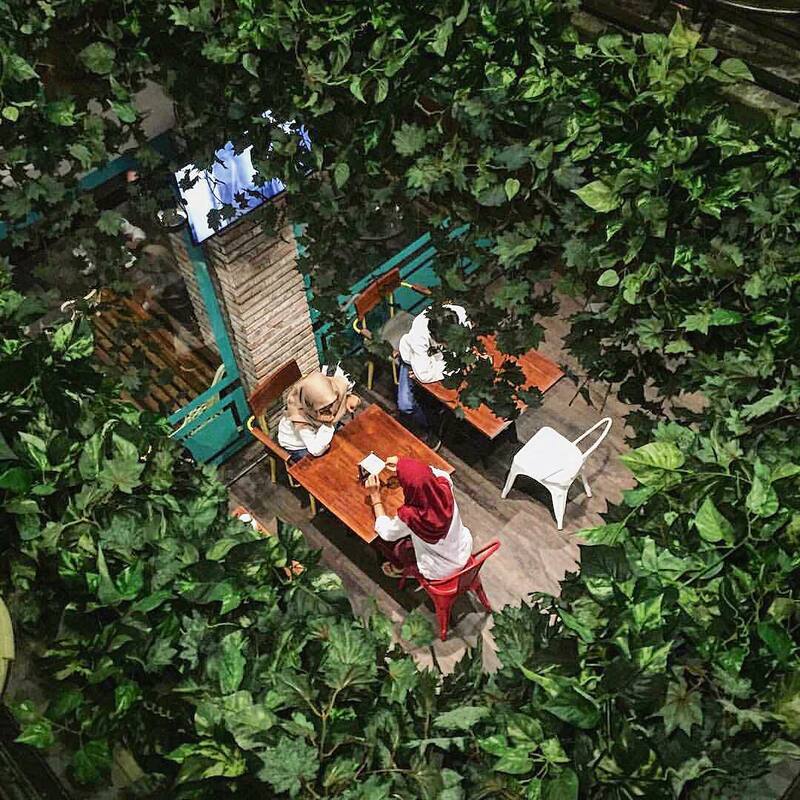 A bustling cafe that’s popular with locals, this two-storey building has a different vibe on the upper floor, which is filled with more greenery to give a rustic and cosy ambience. Communal Coffee & Eatery serves a variety of beverages from coffee to ice blends, and western dishes and snacks that will have you coming back for more! 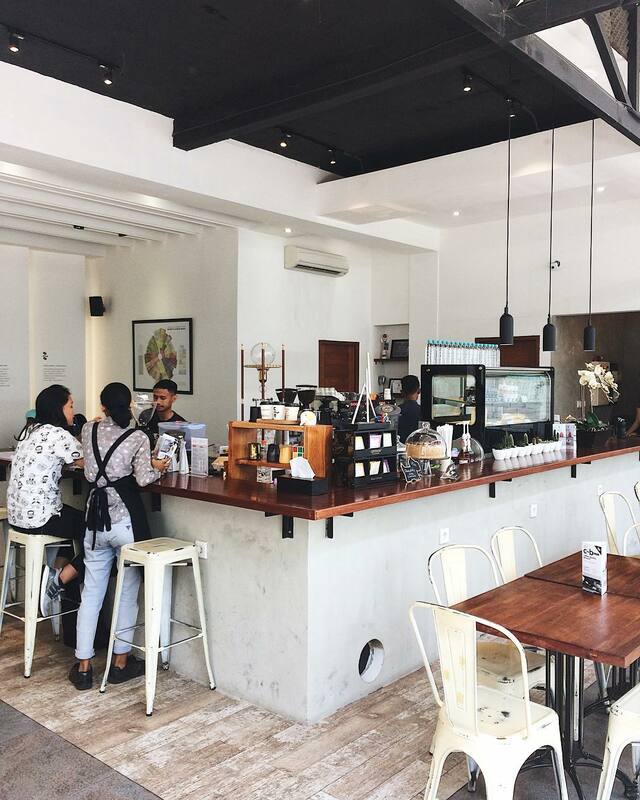 A relatively new cafe on the block, Titik Koma opened in June of 2016 and have garnered a loyal following since then from coffee-lovers. With white walls and minimalistic touches, it’s no wonder that people flock to this cafe. Chill out, have a taste of Titik Koma’s top-grade single-origin brewed coffee and take aesthetically-pleasing photos around the cafe! 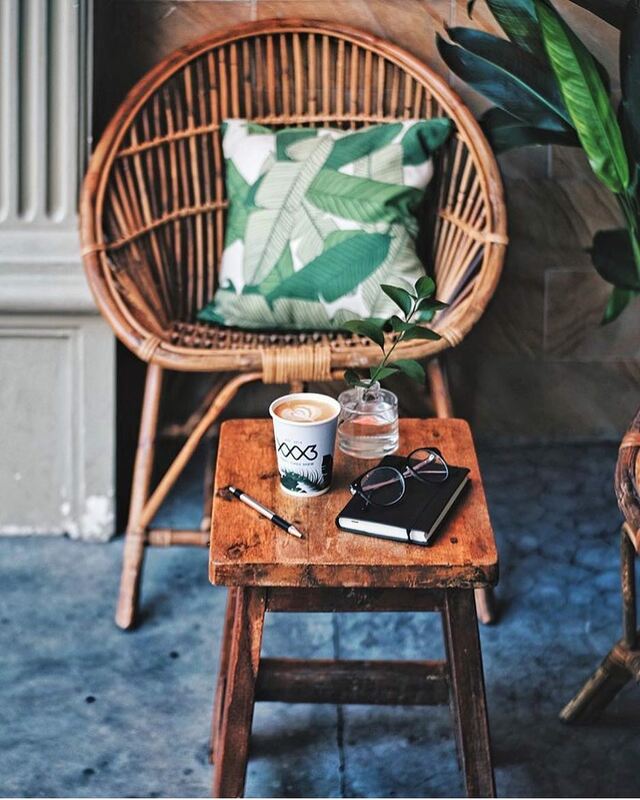 We’re certain the calm atmosphere and sophisticated, modern interior will make you not want to leave your seat, except to grab a book or magazine that’s available in the store, or to get more of their delicious coffee! If you’re into a more immersive and insightful experience where you can interact with the locals, consider learning some basic Indonesian. You can go for a Bahasa Indonesia Course in Singapore or a Bahasa Indonesia Class in Singapore at Learn Indonesian Hub.